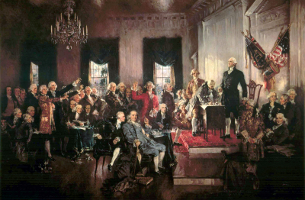 Why then did those who passed these [early vacancy] acts believe they were constitutional? Several pieces of evidence suggest that rather than viewing acting officials as inferior officers, Congress instead viewed these officials as not officers at all. [T]he [Office of Legal Counsel] opinion’s flaw is that, like previous OLC opinions, it once again glosses over the distinction between acting and ad interim officers. The opinion lumps these two categories together in order to reach the figure of “at least 160” non-Senate-confirmed temporary department heads serving between 1809 and 1860. Id. at 10. But examining these appointments in more detail shows that the significant majority were only acting heads, not ad interim. 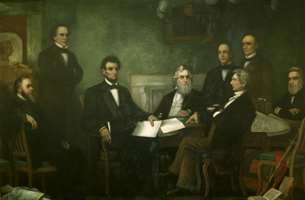 To give one example, the opinion states that at least 110 chief clerks temporarily led the Departments of State, War, and Treasury between 1809 and 1860 Id. at 9–10. Of the 93 that I could identify, 80 were acting heads serving during travel or sickness, and only 13 were ad interim. By not differentiating these two types of temporary service, the opinion gives the impression that non-Senate-confirmed officials were appointed to lead departments after a death or resignation far more frequently than actually occurred. (Thanks to Andrew Hyman for the pointer). And here is a handy link to the Maryland litigation.